The current version of Fiat's iconic 500 minicar is nearly eight years old. GENEVA (Reuters) -- Fiat Chrysler Automobiles' factory in Tychy, southern Poland will start producing restyled versions of the Fiat 500 and Lancia Ypsilon this year, two sources familiar with the matter said. The plant already builds the current versions of the Fiat 500 minicar and Lancia Ypsilon subcompact alongside Ford Motor Co.’s Ka minicar, according to Automotive News Europe’s European car assembly map. The move is expected to help boost sales of FCA’s two aging models and make up for output that will be lost when the plant stops producing the Ka, which it makes under an agreement with Ford. "The restyling of the 500 and the Lancia Ypsilon will keep production in Tychy stable when the collaboration with Ford comes to an end as is foreseen by March or May next year," one of the sources said. A Ford spokesman said the company had already said the current Ka made in Poland would go out of production in the next couple of years. "We can't be more specific at this point," the spokesman said in an email. The Tychy facility used to be FCA's best performing plant in Europe, but was sidelined when the carmaker moved production of the Fiat Panda to Italy in 2011 as it sought to appease politicians eager to protect jobs. The move led to hundreds of Tychy workers being laid off. Today, the plant produces around 300,000 vehicles a year, half its peak in 2009. FCA CEO Sergio Marchionne in 2007 chose the 500 hatchback to revive the flagging Fiat marque, selling more than one million in the six years after the relaunch. 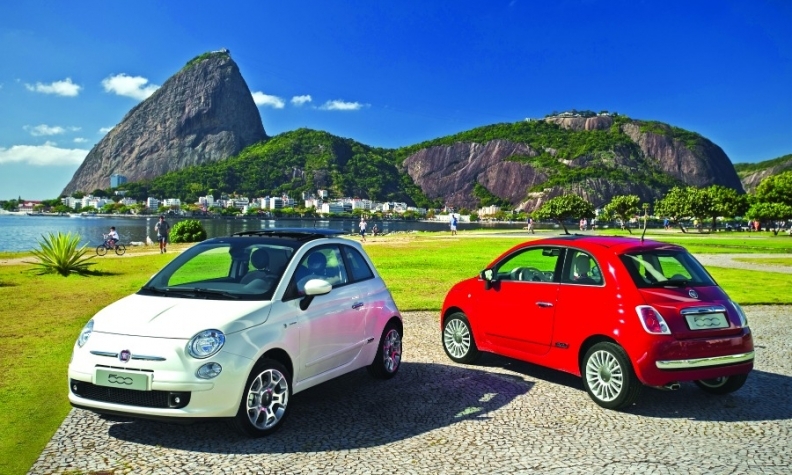 Europe sales of the 500, which is Fiat’s best-selling model in the region, rose 7.3 percent to 13,893 in January, according to data from JATO Dynamics. However, the current 500 is nearly eight years old. Fiat has introduced some cosmetic changes over the years but is keeping the market waiting for a complete overhaul of the minicar. Marchionne is being equally tight-lipped about his plans for the Polish plant. He has reiterated that Poland is "safe as an asset," although he is giving priority to boosting output at underutilized plants in Italy, meant to produce Maseratis, Alfa Romeos and Jeeps for export as the company seeks to raise global sales volumes to 7 million vehicles by 2018. A Fiat executive told unions at the Tychy plant late last year that some "significant news" would be announced in 2015, but did not give details. Suppliers expect Tychy will likely get a new B-segment model that could go into production late next year. "Fiat will not leave Tychy producing at 50 percent of capacity for long," one of the sources said. Separately, Ford showed a Ka concept vehicle in December 2013 and said a new production version would be coming to Europe, but did not say when.